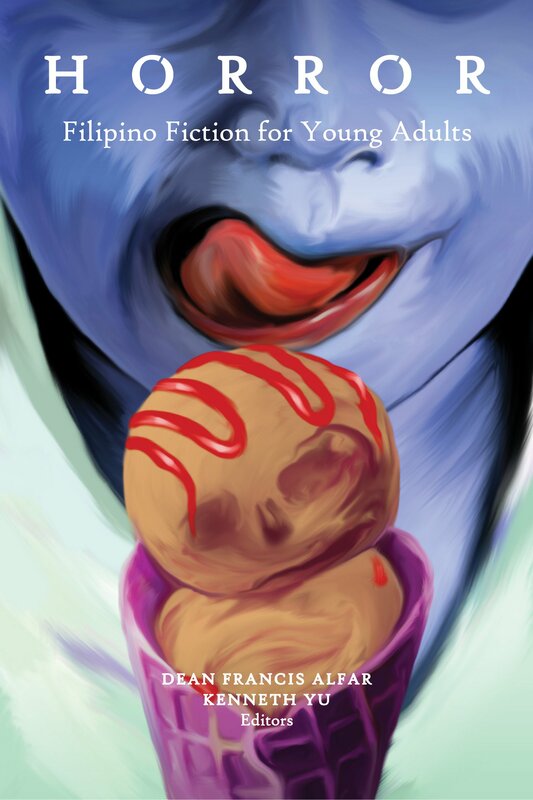 Perhaps the first of its kind released in the Philippines, Horror: Filipino Fiction for Young Adults was conceived solely with the Filipino young adult reader in mind, with stories that explore the concerns and fears of today’s youth through the lens of horror written by new and experienced authors. Horror: Filipino Fiction for Young Adults is the first of a series of anthologies covering science fiction, fantasy, and other genres, presented by award-winning editors Dean Francis Alfar and Kenneth Yu. Dean Francis Alfar is a fictionist, playwright, and the publisher of the Philippine Speculative Fiction annuals, beginning with the first volume in 2005. His fiction has appeared internationally in The Year’s Best Fantasy & Horror, Strange Horizons, Rabid Transit: Menagerie, The Apex Book of World SF, and the Exotic Gothic anthologies, among others. His fiction has also appeared in Filipino venues such as the Philippines Free Press, Philippines Graphic, The Digest of Philippine Genre Stories, Sands & Coral, and the Philippine Daily Inquirer as well as in the anthologies The Farthest Shore, Tales of Magic & Enchantment, Latitude: Writing from the Philippines and Scotland, Connecting Flights: Nineteen Filipinos Report from Elsewhere, A la Carte: Food & Fiction, Diaspora Ad Astra, A Time for Dragons, and Alternative Alamat, among others. He is the recipient of 10 Don Carlos Palanca Awards for Literature as well as the Philippines Free Press, Gintong Aklat, Philippine Graphic Fiction, and Manila Critics Circle National Book Awards. His books include a novel—Salamanca (Ateneo Press) and two collections of short fiction—The Kite of Stars and Other Stories (Anvil) and How to Traverse Terra Incognita (Flipside). He co-edited The Best of Philippine Speculative Fiction 2005–2010 (UP Press) with Nikki Alfar. He is working on a second novel, his third collection of short fiction, and a handful of new anthologies. He lives in Manila with his wife and two daughters. Kenneth Yu is a reading advocate and the publisher/editor of The Digest of Philippine Genre Stories, or PGS, a Filipino short-fiction publication of genre tales (science fiction, horror, crime, mystery, suspense, and fantasy). The digest has evolved from its original print form and now has an online presence at www.philippinegenrestories.com. He has been published both locally and internationally. In the Philippines, his fiction and nonfiction have seen publication in magazines such as Philippines Graphic, The Philippines Free Press, Usok, Ruin & Resolve, as well as in the Philippine Speculative Fiction anthologies. Internationally, his fiction has been published in The Town Drunk, AlienSkin, Aurora Wolf, Innsmouth Free Press, and in D.O.A. : Extreme Horror Collection. His stories have also been turned into podcasts on Pseudopod, Dunesteef Audio Fiction Magazine, and Pakinggan Pilipinas. He placed co-third in the Philippine Graphic Fiction Award, with his coeditor Dean. He also won in the Fantasy Magazine’s Halloween Flash Fiction competition. One of his stories was cited as an honorable mention by editor Ellen Datlow for Best Horror of 2011. His first collection, Mouths to Speak, Voices to Sing, was released as an ebook in 2013. He blogs at philippinegenrestories.blogspot.com, and can be followed at www.twitter.com/Kenneth_Yu. He resides in Quezon City, the Philippines.